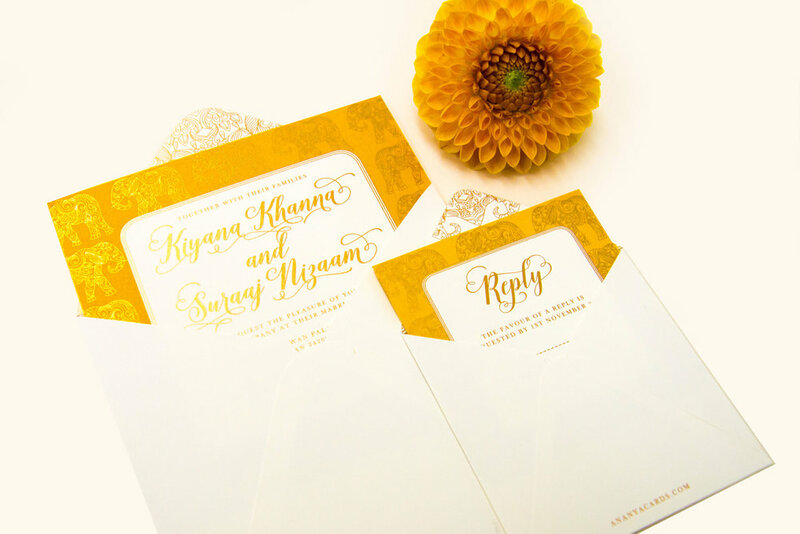 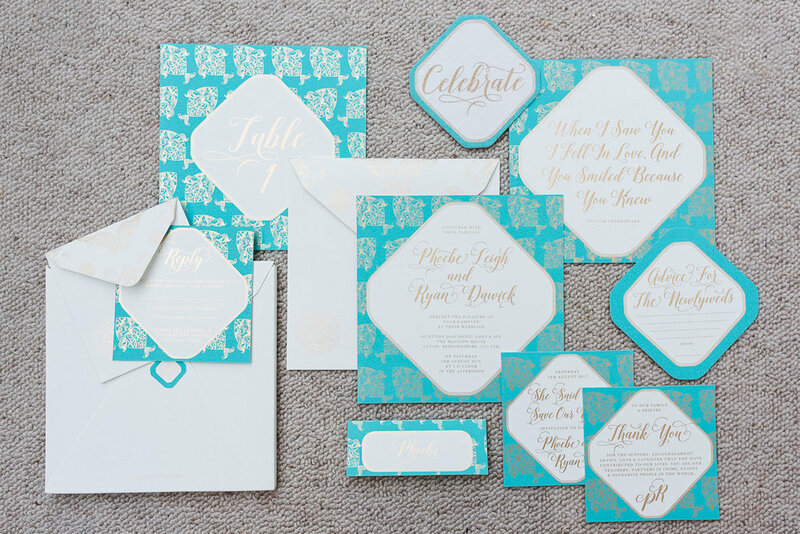 Every couple wants their wedding day and wedding stationery to be unique. 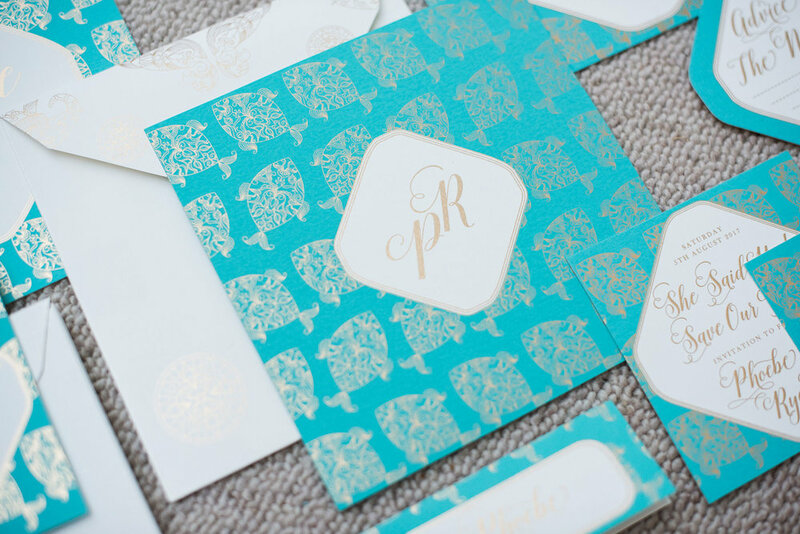 That’s exactly what we aim to do with our bespoke service. 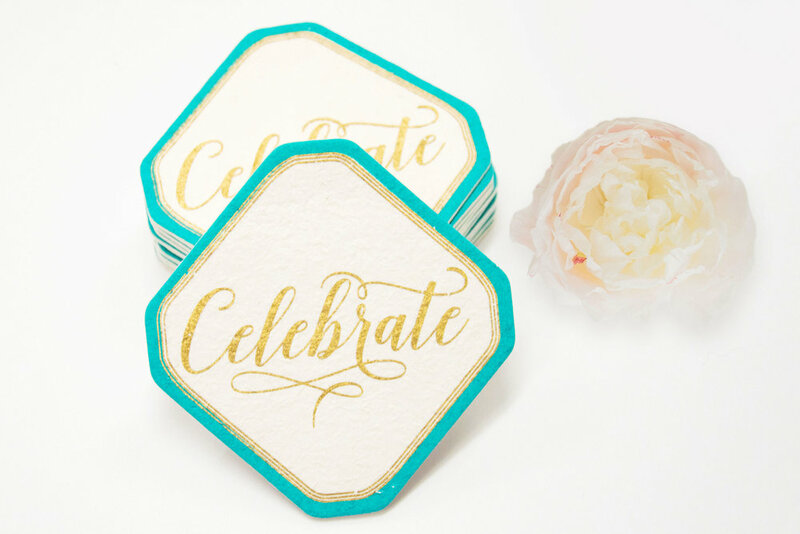 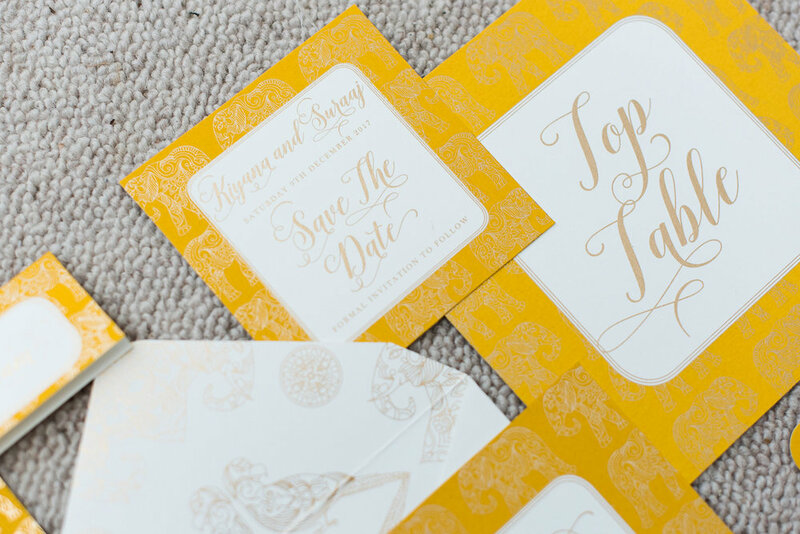 From the minute your guests receive their save the date or wedding invitation, they will get a sense of the mood and tone of your special day. 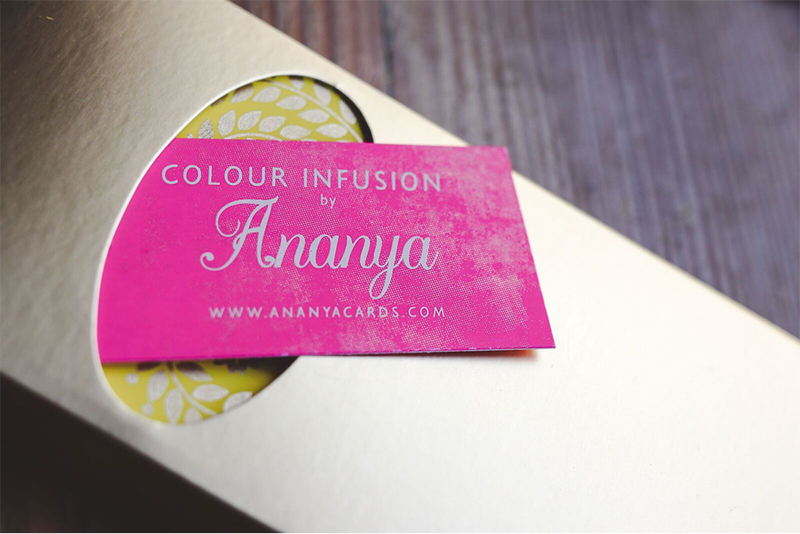 Commission the Ananya design team to create a bespoke design for you. 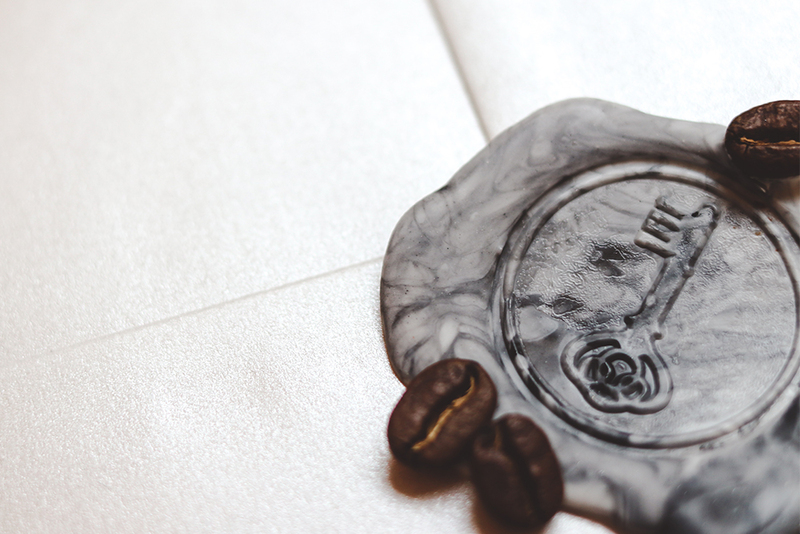 It is very important to us to respect your privacy and discretion is paramount. 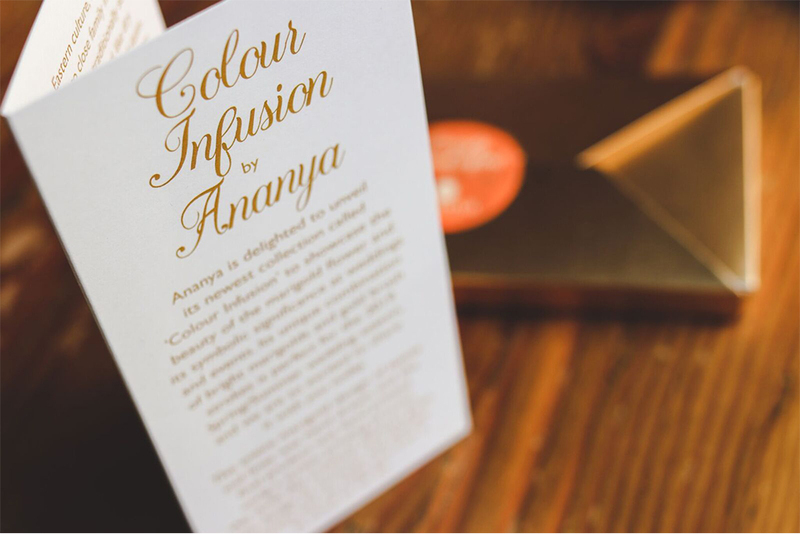 At Ananya we take a personalised approach to design. 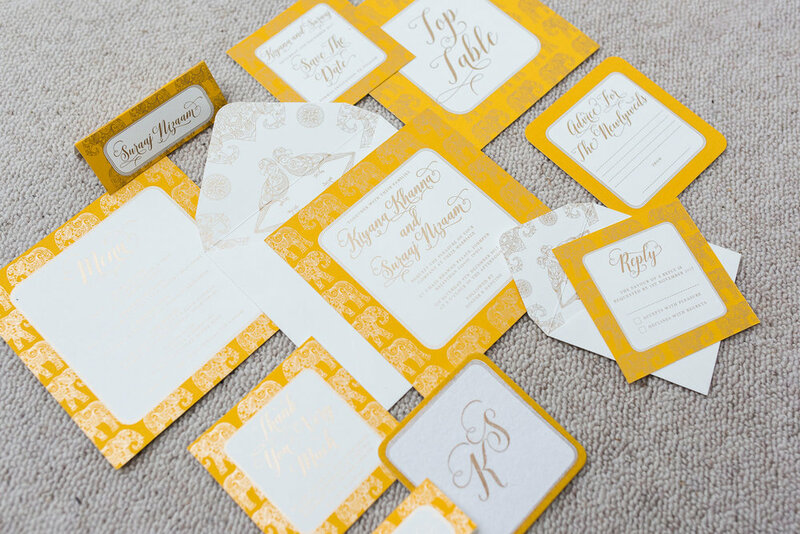 We learn as much as we can about the couple and incorporate those elements that are important to them, that reflect their unique style and personality, into the stationery. 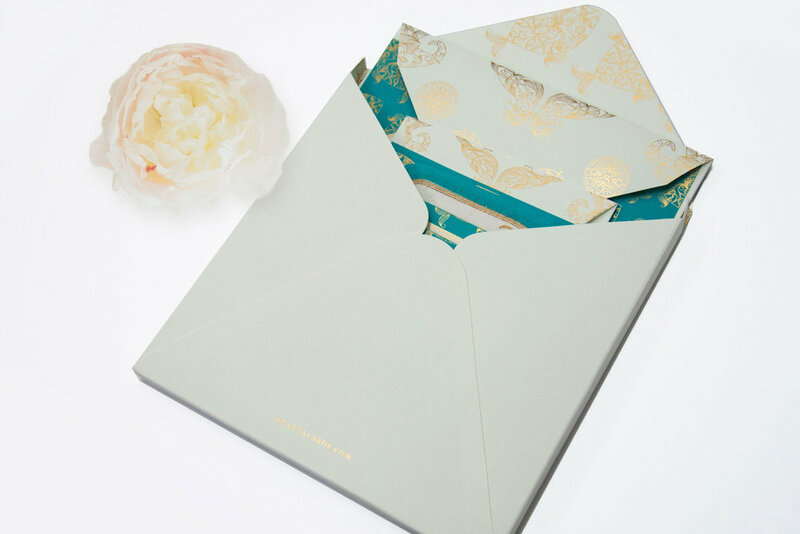 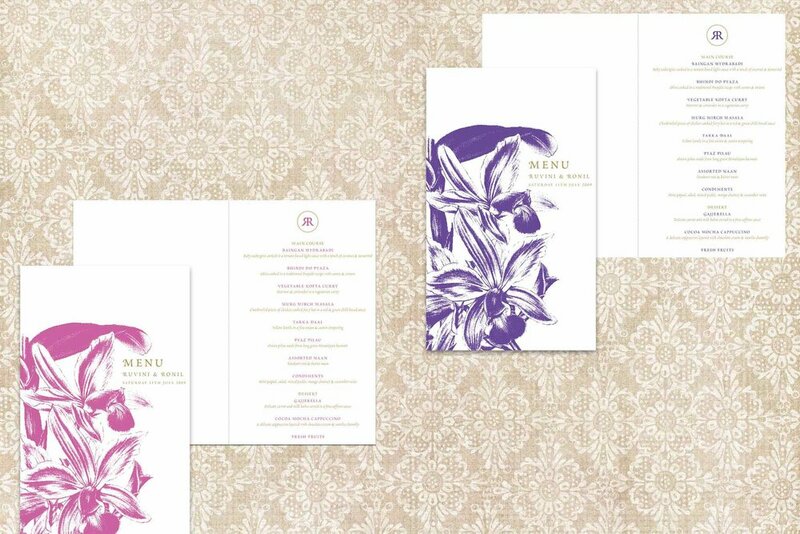 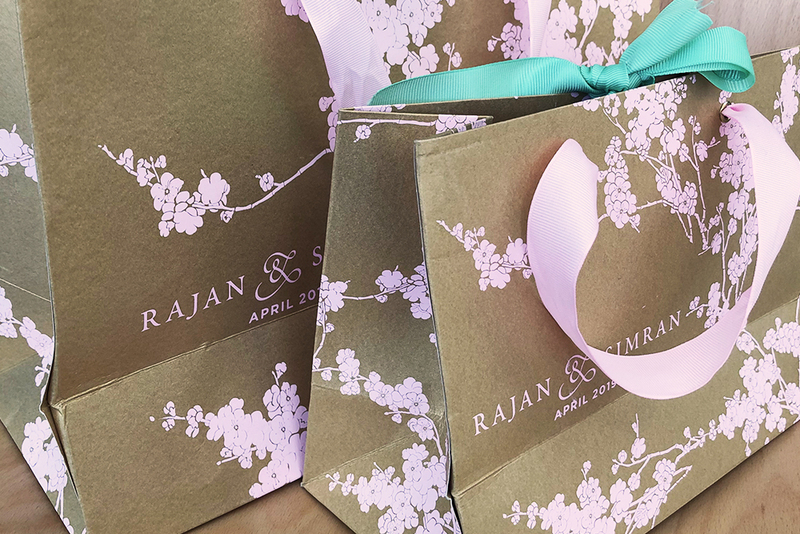 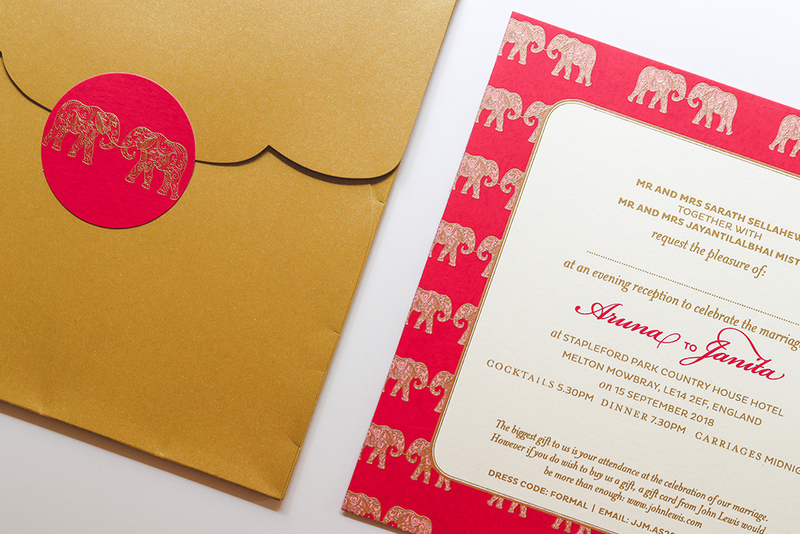 Whether it is a swatch of fabric or a motif that has a particular significance, a floral or exotic design, monogram or a photograph, we create a theme around it to weave into the stationery. 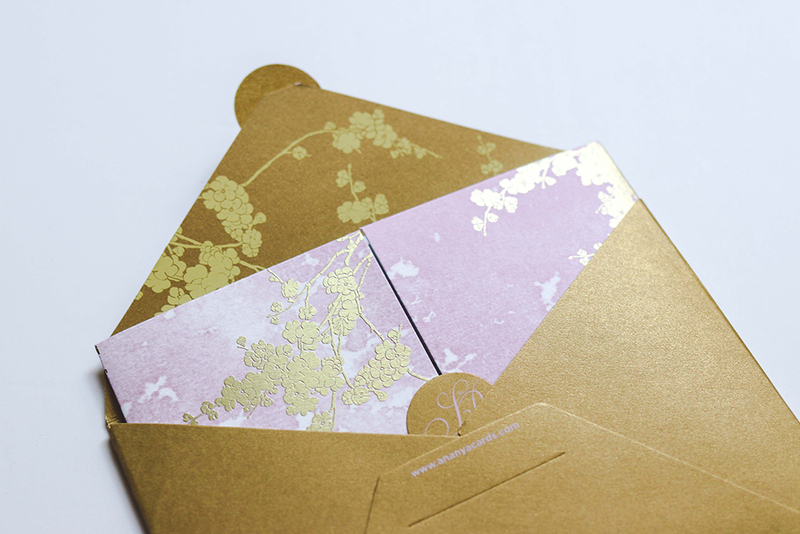 It’s our attention to detail, creative flair and professionalism that have earned us glowing reviews from our couples. 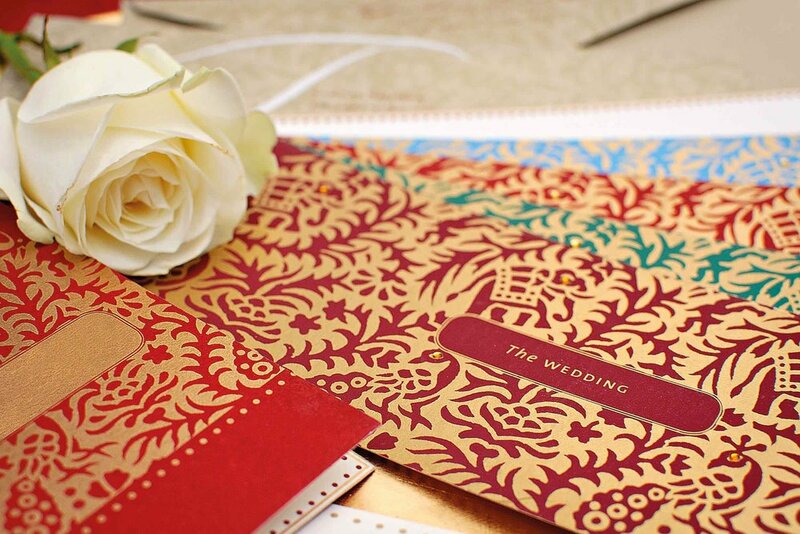 The couple has so many things to think about, so our aim is to simplify the whole process so that you enjoy it. 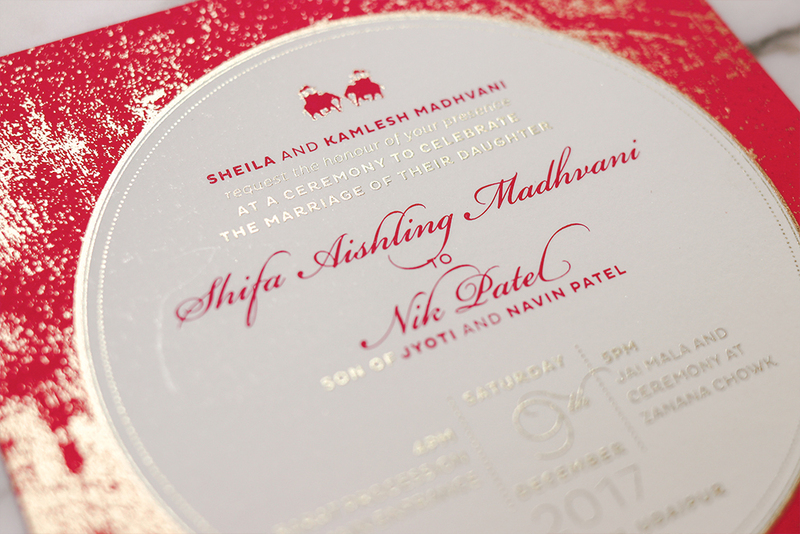 We therefore provide a service that includes everything from designing to printing. 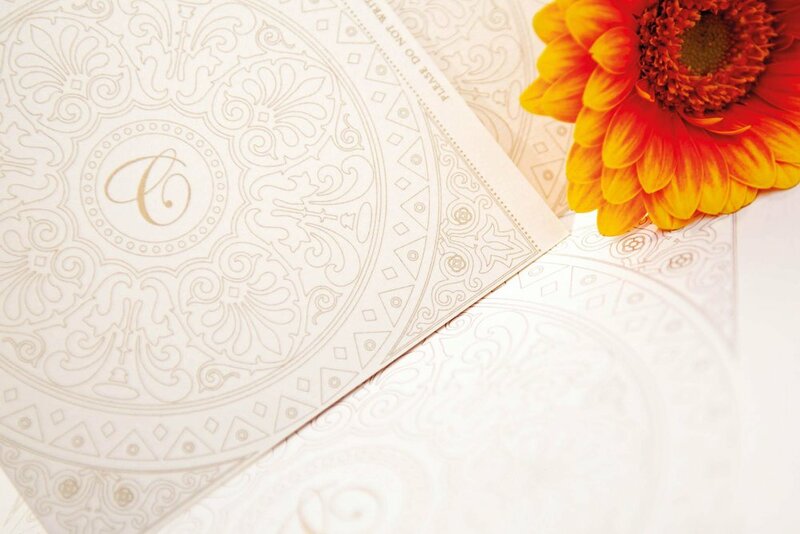 With so much on your mind, we know it's easy to forget certain details. 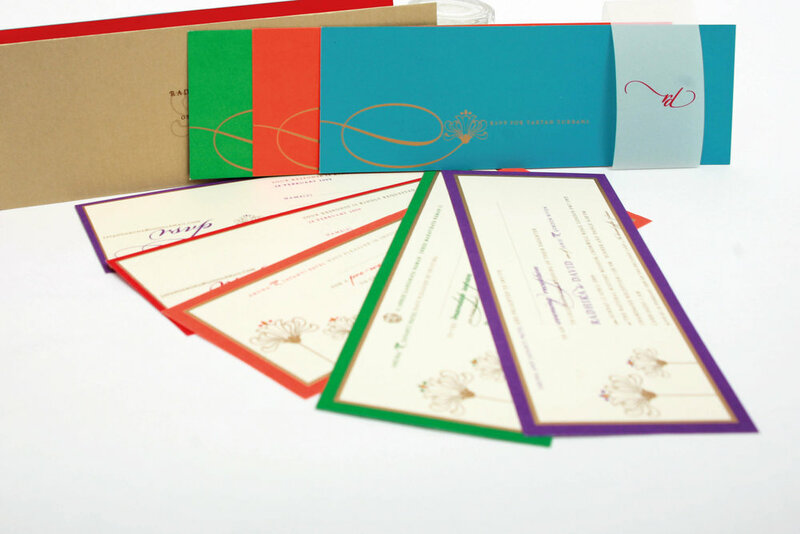 We will take you through all the other wedding stationery you may want to consider. 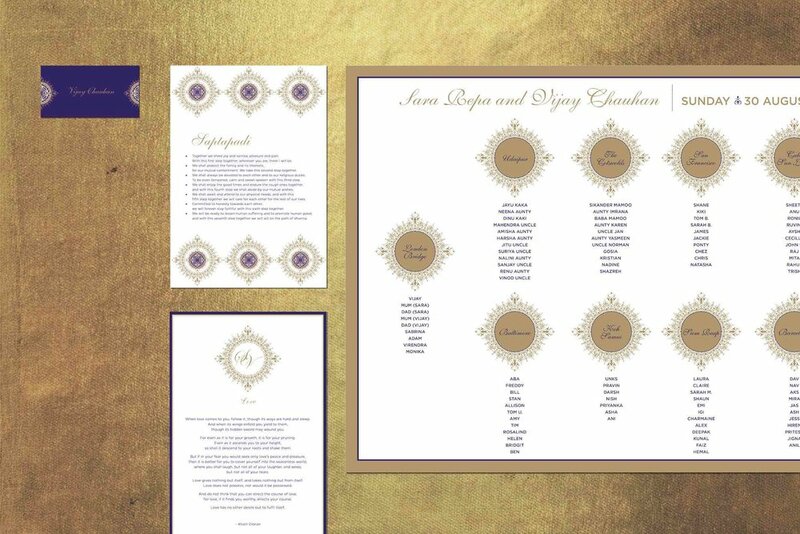 We offer save the date cards, place cards, order of service, menu, thank you cards, seating plan, table numbers, stickers/envelope seals and information sheets, just to name a few. 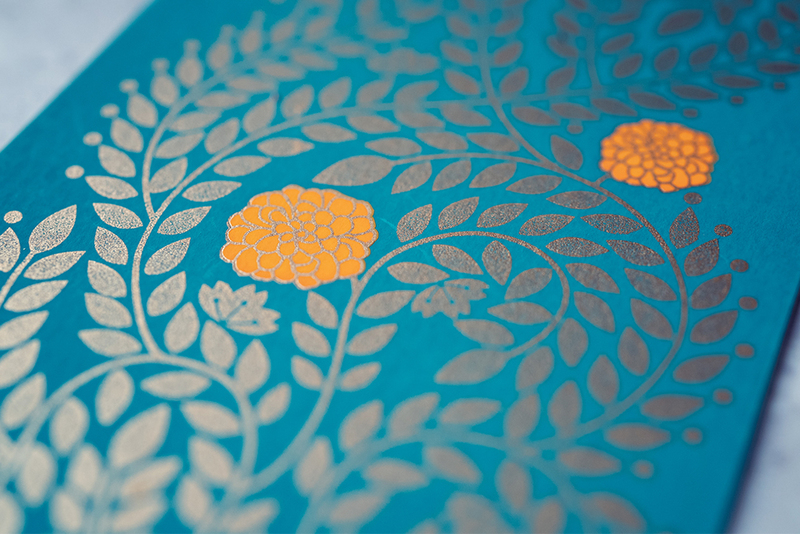 We love finding ways to add that little extra through hand finishing work. 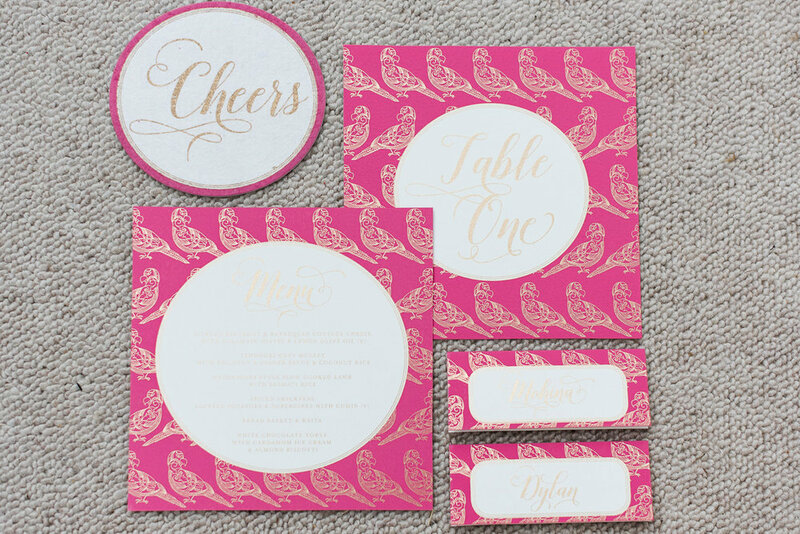 This includes hand embellishing cards with crystals and lace, tying ribbons for wedding favours, hand tearing watercolour paper to add texture, painting feathers with a metallic rose gold finish, exploring calligraphy on new mediums, designing bespoke monograms, and much more. 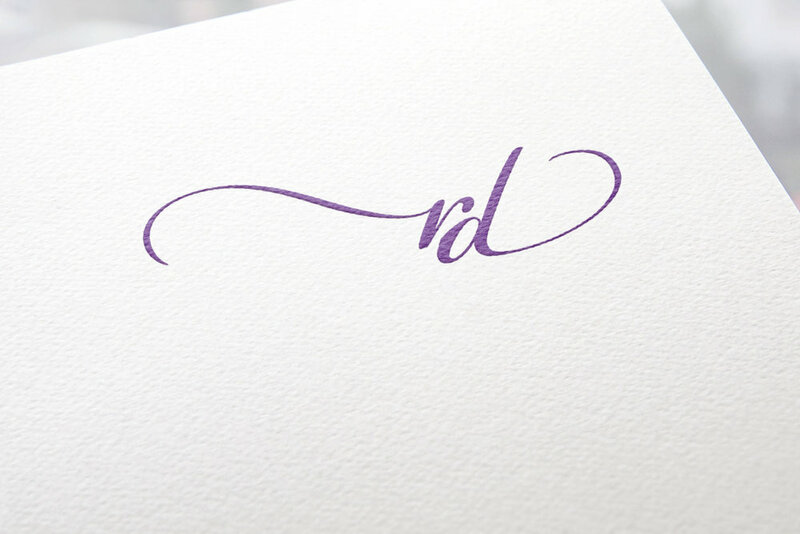 Tap into our creative expertise and our decades of experience.